We require that all New Patient Forms & Paperwork is received by our office before scheduling an initial consult. Once your paperwork has been received, our office manager will call you to schedule. If you have had lab work done in the past two years, please include copies of all your tests results for our review. If you feel that you would like to provide us with a narrative of your health issues that does not quite fit into our paperwork, please include additional information that might help us to understand your case. Timelines with significant events can be very helpful. New patient consults are approximately one hour. Please keep in mind that the time spent reviewing labs and patient history and developing individualized treatment programs is part of our service and is not billed for outside of our consult fee. It is our goal to gather as much information as possible about your case during your first consultation. It is likely that we will order appropriate testing to gather more objective data and search out the potential causes of your health issues. Please see the section of our website that discusses lab testing in a Functional Medicine practice. Information regarding diet and lifestyle modification are generally shared during the initial consult as they can take some time to implement and do require effort on the part of the patient. Please review all New Patient Forms & Paperwork regarding our office policies. Follow up consults can range between 30-60 minutes. If extensive lab review is involved, a follow up consultation may last an hour. If labs have been ordered during our initial consult, we generally wait until all lab results are in before scheduling a follow up consultation. This provides us with the opportunity to put all the information together and develop a comprehensive perspective on your health issues before your next appointment. Treatment programs for our patients are individualized and developed with care and an understanding of your history, clinical presentation and lab results. We prioritize our recommendations with the goal of addressing the most acute and troublesome symptoms first while working to improve your health on all levels. This is a process that can take some time depending on the severity and duration of your symptoms. However, by implementing some basic support, we have found that our patients experience positive changes within the first 2-3 weeks of following a program that we have developed for them. 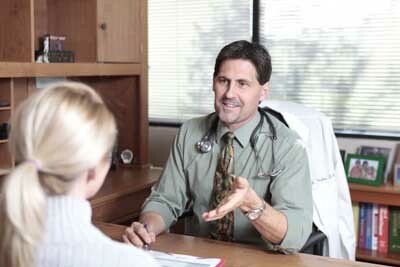 We generally recommend follow up consultations every 3-6 weeks depending on your needs. Once your symptoms have resolved and you are on the path to wellness, follow up consultations may be every 2-3 months or at your discretion. For more information about consult options, new patient paperwork, scheduling and fees, please contact our office manager, Leigh either by phone or email.